Spring has finally arrived in Leduc and this month we would like to share with you our favourite activities in the community. It’s time to climb out from under our winter layers and months of hibernation indoors to re-discover what our vibrant community has to offer! It’s time to drag the bikes out of storage and hit the trails! 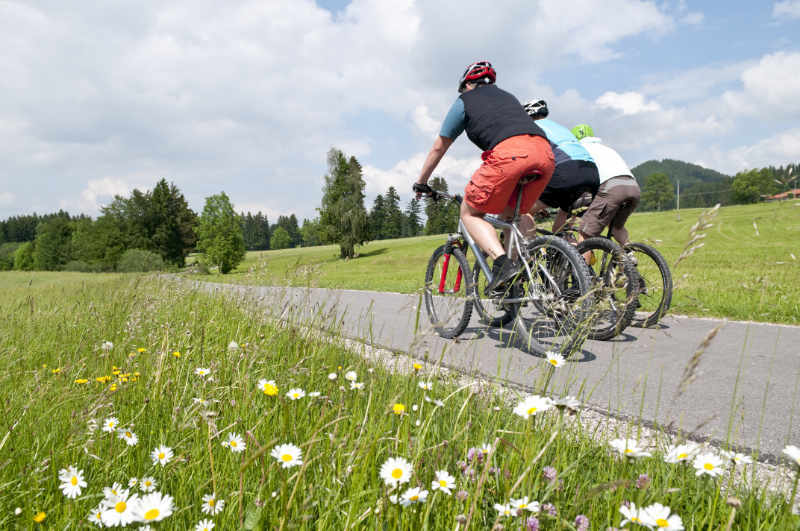 Leduc has 68 km of multi-use pathways to enjoy. If you aren’t sure where to start or need help planning a route you can visit the City of Leduc website for interactive maps and points of interest. Before you set out, don’t forget to do a bit of bike maintenance – pump up the tires and be sure to adjust the seat and handlebar height for any little ones who may have grown over the winter. If you aren’t sure about correct bike fit remember to ask your physio for some tips at your next appointment. 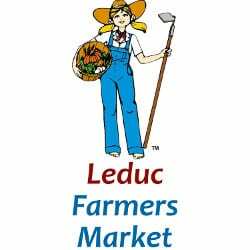 Be sure to visit the Leduc Farmers’ Market! A great place to pick up some fresh produce, support local food vendors and convince even the pickiest children to savour delicious fresh food products. The farmers’ market is open from 10.00AM to 1.30PM on Thursday and Saturdays in the Leduc Recreation Centre parking lot – a new location as of last year. For more information visit their website. Start planning your neighbourhood’s annual block party! This could be a great way to get to know your neighbours, celebrate the upcoming end to the school year or just build some community spirit. The City of Leduc will drop off street barricades and even close down some of the neighbourhood’s roads to traffics so everyone can celebrate safely. Registration opens on May 1 – visit the City of Leduc website for more information! Should the sun decide to shine warmth upon us this spring, spend a day at Telford Lake. You can pack a picnic and make a whole day of it. There are lots of wild adventures to be had from kayak rentals to stand up paddleboarding or for the more faint of heart there is bird watching and lots of photography opportunities. And if the weather isn’t cooperating? Take the kids puddle jumping! Spring showers can put a damper on enjoying the great outdoors but it is no excuse to limit yourself to indoor activities. Time to pull on the rubber boots and rain gear and blow off some cabin fever. Challenge your kids to see who can jump the highest or create the biggest splash. No kid, big or small, can resist a giant water puddle calling your name. When’s the last time you played pickleball? If you can’t remember then it is time to get yourself down to the Leduc Recreation Centre. Sunday night is Family Pickleball night from 7-9PM. And if you have never played before then no more excuses! Head down on your own for a few practice sessions and then seize the opportunity to amaze your friends and family with your “secret” skills. Check out the family activity schedule here! Leduc is a vibrant community! Enjoy all that it has to offer this Spring!